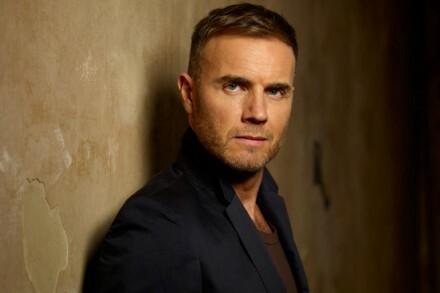 Organizers of Mencap’s Little Noise have added Gary Barlow to their annual winter festival line up, to take place at St John-in-Hackney Church in Clapton this month. The X Factor judge who now sits in Simon Cowell’s former chair is currently on a 20 date solo tour of the UK that will see him into the new year. And what a year, his lead part in helping to organize this years mammoth Jubilee concert earned him an OBE. Celebrating it’s 7th year of bringing performers and fans together and an unrivaled opportunity, for both sides to perform and enjoy a more intimate close up and personal experience. We live in a terminal age when music can appear to be made for the sole purpose of creating revenue for corporations and put up with impersonal stadium performances, where we view artists on a big screen and not in the flesh. Mencap’s Little Noise sessions allows fans to experience top and emerging performers in a whole different light and atmosphere as well as creating revenue for a good cause. Once again Hackney and the over 700 year old church, one of Hackneys historical and beloved building, will host this years sessions beginning Monday 19 November (an extra date added) for 7 days. This years attractions include Olly Murs, Richard Hawley, The Maccabees, Amy Macdonald, Noah and the Whale and Jessie Ware and Hackney Hive has a pair of tickets for a lucky person and their guest to see Amy Macdonald up close and personal. No sweat, just name Amy’s second album. It’s that easy…we’ll do the hard job of picking a random winner. Don’t forget to include your name and phone number. Mencap’s Little Noise Sessions aids Mencap’s arts awards projects to help people with learning disabilities. Mencap directly supports people with learning disabilities live their lives as they choose and challenge prejudice.